Happy Taco Bell Tuesday everyone! An entertaining Reddit thread yesterday sparked some discussion around the Internet: What wine pairs best with a Crunchwrap Supreme? I’m all for the coming of the Franchise Wars and the long-awaited elevation of Taco Bell to haute cuisine, obviously, but I’m ill-fit to weigh in on this one. I’m not a big drinker and when I do drink, I rarely drink wine. Sometimes I’ll partake to be social, and people will start talking about the earthy bouquet and such, but it always just sort of tastes like wine to me. Some wines go down smoother than others, I’ll amount, but outside of a few choice bourbons, I find most alcoholic beverages primarily a means to an end. All that said, I suspect Taco Bell pairs best with a cold 40-ounce of Olde English 800, or at least it sure seemed to back in the days when I more regularly enjoyed malt liquor and late-night Taco Bell. And I don’t think my appreciation for Taco Bell then had much to do with the flavor combinations and the way the Olde E sat on the palate. That predated the existence of the Crunchwrap Supreme, though. In more pressing news, Taco Bell is testing two new versions of the Doritos Locos Taco: the long-anticipated Cool Ranch and the heretofore unheard-of-by-me Flamas flavor. FoodBeast has tried them both. The Flamas flavor is apparently a combination of hot chili and citrus, which would sound way better to me if I hadn’t recently sampled a bag of Chile-Limon Doritos Dynamita while in Phoenix. 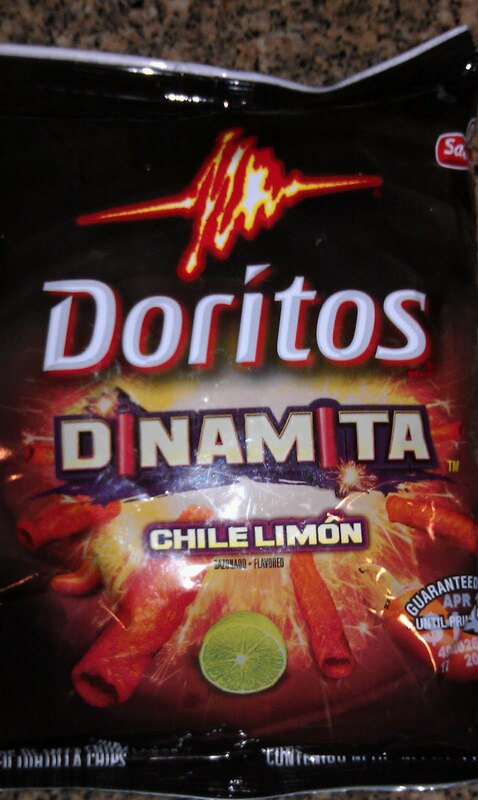 Dynamita apparently means traditional Doritos rolled up into a taquito shape, vaguely resembling dynamite*. Unfortunately, the flavor sucked. It tasted like nuclear fallout soaked in artificial lime flavor. I don’t know for sure that Flamas is the same, but since the combination sounds suspiciously similar, I will proceed with skepticism when the flavor comes to my local Taco Bell. The Cool Ranch sounds a lot more intriguing. I don’t see how the flavor will overcome the saltiness and dryness issues that plagues the Nacho Cheese version of the Doritos Locos Tacos, but since everyone knows Cool Ranch Doritos are better than Nacho Cheese Doritos, it looks to be an upgrade over the original. Plus I suspect the flavor, tangy as it is, is less redundant with the seasoned beef stuff. I’d also be down for checking out that Sweet and Spicy Thai Chili Doritos as a Doritos Locos Taco, for what it’s worth. Asian-inspired/Mexican-inspired fusion. Are you listening, Taco Bell? It’s me, Ted. *- You may remember that the term “taco” is believed to come from Mexican mining communities, named after a form of dynamite.